The last mainline US Airways plane goes in with its markings and comes out with American Airlines livery. The big switch is almost done, although it’s a little bittersweet. When American Airlines acquired US Airways in December of 2013, one of the many items on the agenda to merging the two carriers was to take every US Airways aircraft and give it an AA livery. 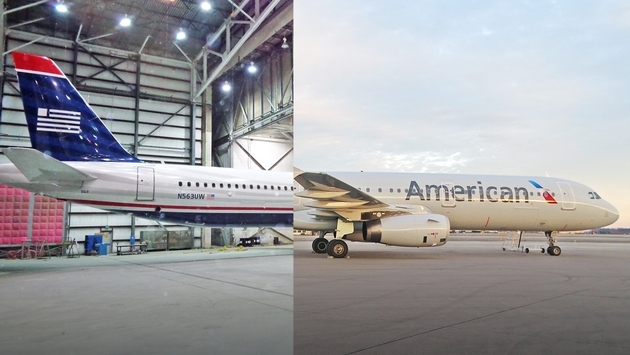 With N563UW’s exit from the paint shop on Tuesday, Nov. 22, American Airlines has now painted all 299 former US Airways mainline planes. The first US Airways plane was painted in the American livery in January 2014, just one month after the merger closed. Now, as American Airlines noted, if you’re an aviation enthusiast and feeling nostalgic for US Airways you can still see that livery on the US Airways heritage livery aircraft (N578UW). In addition, some regional aircraft will still operate in the US Airways Express livery until May of 2017. 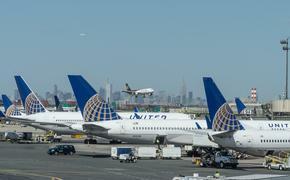 But, more than 80 percent of American’s fleet is now operating in the new livery. In addition to the former US Airways regional jets, American still has about 100 B737s in the polished metal livery. They will be painted by the end of 2017. A handful of B757s and MD-80s, will continue flying in the old paint scheme. These aircraft will eventually be retired. Though the fleet was one of the first things – if not the first thing—to begin to get the makeover treatment, American in September rolled out a new uniform for its pilots, flight attendants, gate agents, maintenance workers and airport ticket agents for the first time in 30 years. Three years after the merger with US Airways, it was one of the last pieces of integration between the two carriers and it incorporates branding colors from both airlines. Instead of the traditional navy blue that American has worn for decades, the new uniform will be a slate gray/charcoal gray base with touches of cobalt and white. Multi-colored scarves for women will be used to accent the new uniform.